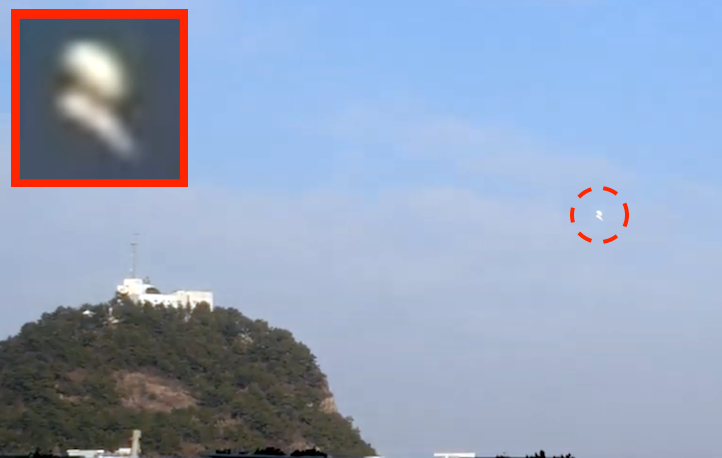 UFO SIGHTINGS DAILY: White UFO Seen During Day Over Busan, South Korea on Jan 16, 2019, Video, UFO Sighting News. This video was taken by an eyewitness in South Korea yesterday. A white double oval UFO hovered over the city of Busan, a city of 3.5 million people. What really is important here is that the person was driving and did not have a window up, so this is not a reflection. Thats a great thing. This UFO does seem to be near the top of a hill, as if its observing something. 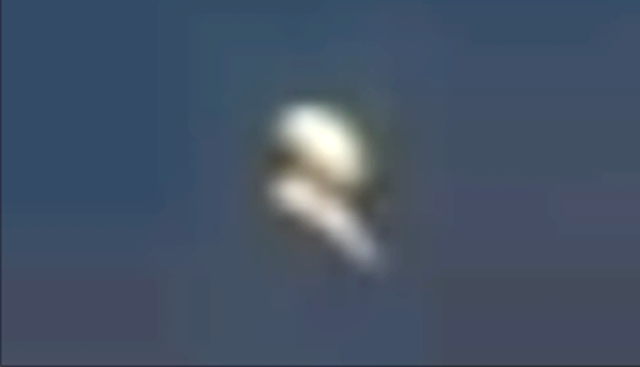 Also this UFO seems tilted and is very white, like cloud, but without the smoke. So, because of the tilt, the color and the size I would say this is a real UFO. For long time, I yearn for looking at UFO!! Today at last I saw something. but something weird.